Every city across British Columbia squares off against winter in its own unique way. When you find yourself in need of Abbotsford Snow Removal and salting, our Gorillas are in your corner. 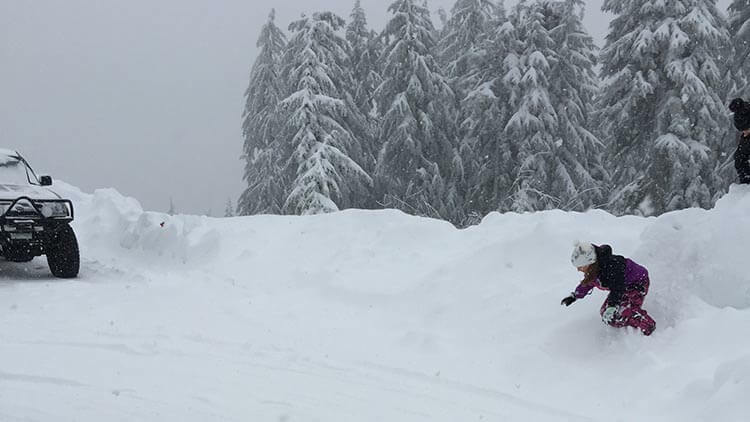 The average annual snowfall in Abbotsford is 55cm. The first flakes usually make an appearance in December but can show up as early as November, or even October! Typically, Abbotsford’s winter season is over by March. However, some years see snowfall as late as April or May. 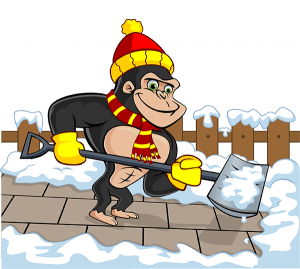 Here at Gorilla Property Services our annual Abbotsford snow removal and salting services run from December to March. We specialise in commercial properties, Co-Op’s, Strata’s and apartments. Most days of snowfall in Abbotsford leave less than 5cm on the ground, which doesn’t seem like much. Nevertheless, all it takes is one small patch of slippery ice or snow to cause an accident. Slips and falls are the most common type of mishap in general day-to-day life; happening much more frequently during those frosty winter months. That’s why we make the residents of Abbotsford’s safety our priority. Our aim is to carry out Salting and Snow Removal with minimal disturbance. In order to do this, our stealthy Gorillas are hard at work while you count sheep. A thorough salting of common areas such as walkways, landings and parkade entries is carried out the night before frost or snow is expected. All of our snow clearing is done with a mechanical blower or by hand, with a trusty snow-shovel. This ensures any areas being serviced are clear of ice and snow completely. It also means no noisy vehicles waking you up in the wee hours. Our Gorillas want you to know the job is being done right. To this end, we supply same-day, before and after photos so you can see the results for yourself. Whether you own an Abbotsford business, Co-Op, Strata or apartment building; make Gorilla Property Services your one-stop-shop for Salting and Snow Removal.